Burr, Terra-cottas from Myrina (MFA), no. 088. 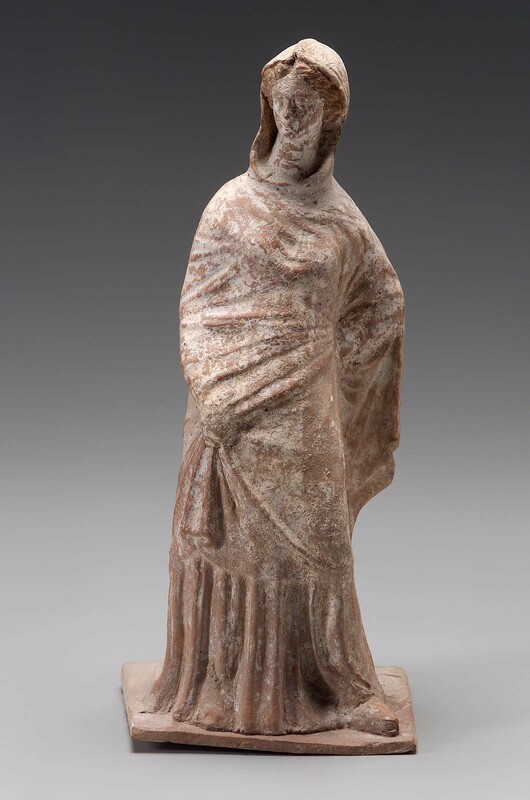 Statuette of draped woman standing. She has her left hand behind her back, while the other is held in front of her body. She is wearing a chiton and an himation, which is draped around her body and over her head. She is wearing earrigs and high-soled forked shoes. She is standing on a plinth. Part of lower drapery and back of base are missing. There are some traces of yellow on hair and red on lips.